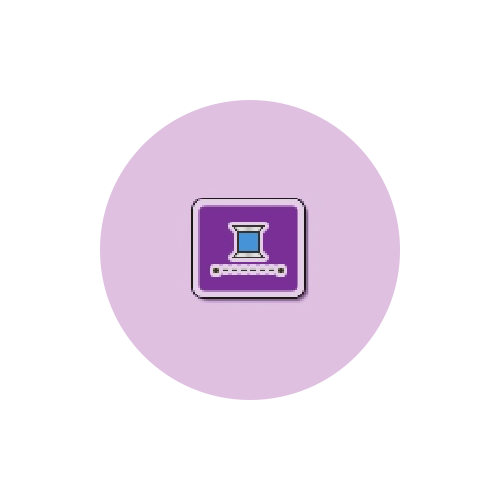 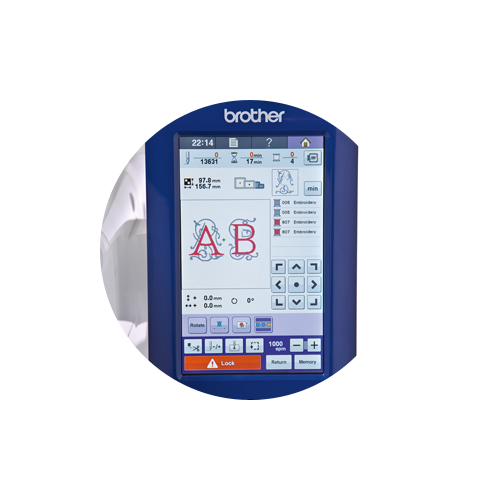 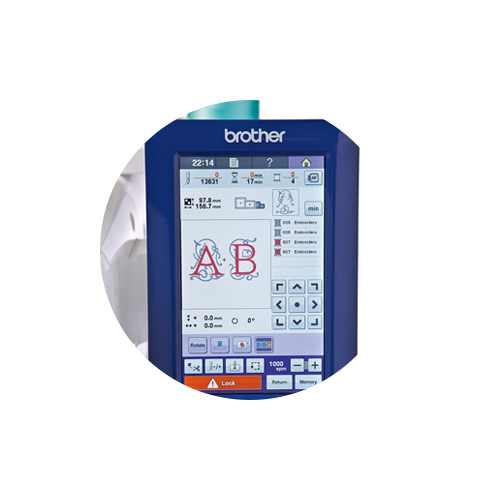 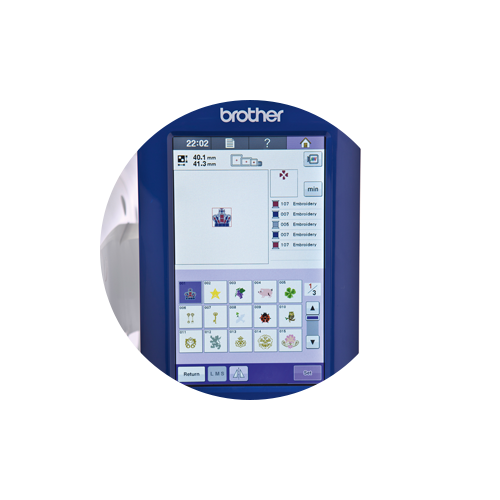 Easily edit and adjust embroidery designs from the touch screen. 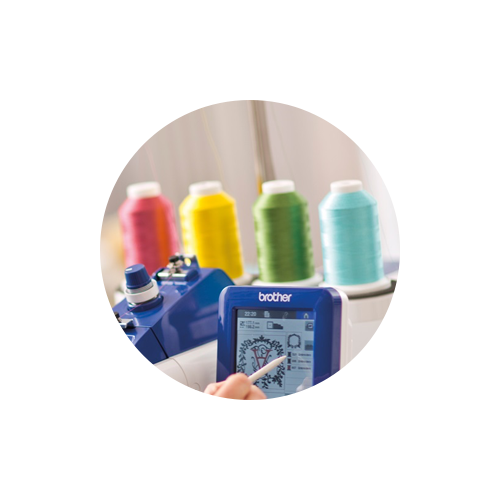 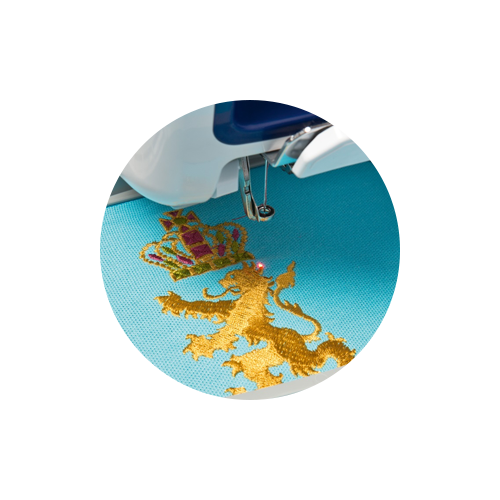 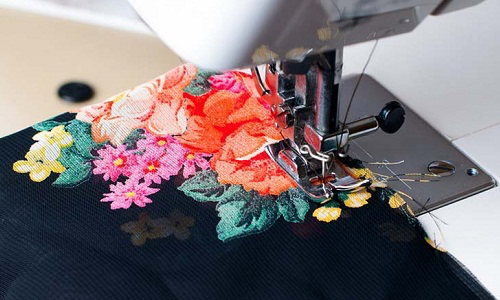 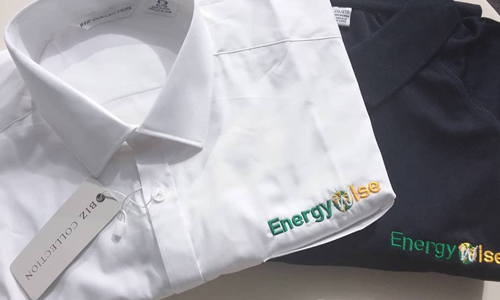 Simply push a button to embroider a multi-coloured design in a single colour. 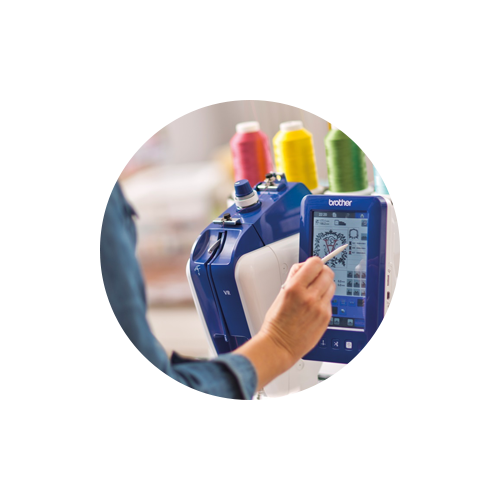 Position jobs faster and more accurately than ever with the LED pointer. 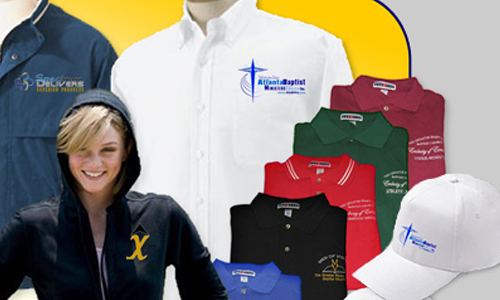 Wide variety of built-in designs including Greek and floral alphabets, decorative and quilt patterns. 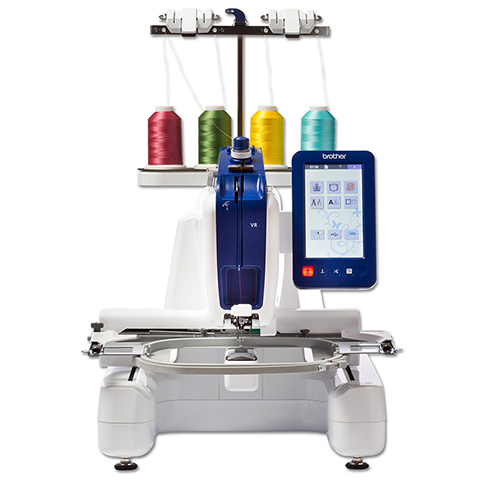 The VR is equipped with a 4-spool thread stand. 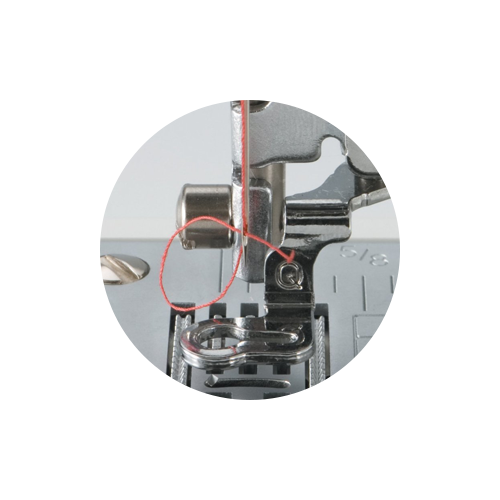 Ideal for quick thread changes. 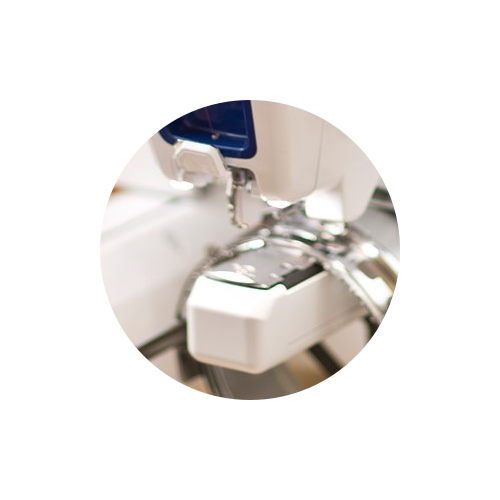 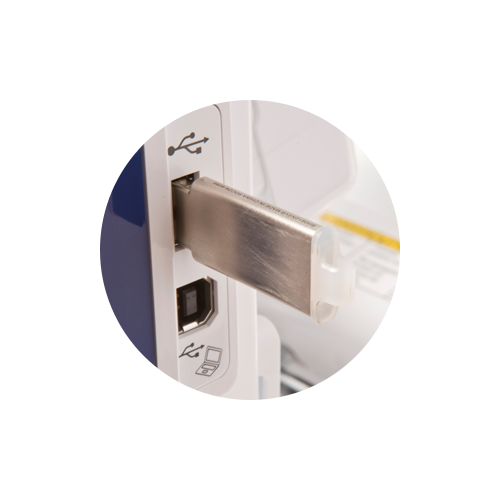 The most difficult needle threading process can be performed effortlessly using the Automatic Needle Threading feature.